German Rhein Riesling is a late-ripening grape, and when it is grown well it is capable of producing some seriously complex wines that age tremendously well. 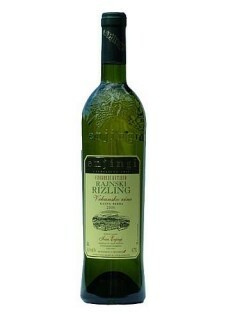 Enjingi Rhein Riesling is just that. This late-harvest wine offers concentrated fruit and honey flavors, refreshing acidit, petroleum and a touch of botrytis. Well structured and balanced, the texture is silky, almost oily, and finishes with a musky earthiness and pleasant biterness on the finish. Attractive and complex wine with good aging potential. Above all, this is a wine-lovers wine. Certified organic! Food pairing: Cheeses or with desserts.